After the bursting of the Meeting between the two heads of state, the mood between Serbia and Kosovo is frosty. Kadri Veseli, the Chairman of the Kosovo Parliament, speaks about the wishes of the Kosovars. Deutsche Welle: Mr. Veseli, there will be a marginal change or a land swap between Kosovo and Serbia? Kadri Veseli: no, this is not it. There will be a recognition of the independent state of Kosovo, it is the integrity of our integrity, full sovereignty, there is no community Association with Executive powers, the threat to the Constitution of our state and the unity of our state. The Serbian President, Aleksandar Vučić, said a few days ago in North Mitrovica, that he would not recognise Kosovo. The Serbian President, Mr. Vučić, is a likable man, his peace declarations are good, but if he promoted Milošević, it also helps him. We respect the Serbian state as an independent, sovereign state, we are interested in, and raise our voice for the rights of the Albanian citizens in the Presevo valley. Their rights must be respected. You should get in schools have the same rights as the Serbs in our Republic. I was a few days ago in the Preševo valley in Serbia and that the Albanians have their eyes on Kosovo. Many prepare for a connection. In addition, the school books were missing. This is one of our national pain. We feel with you, we will be with you, to Wake up without hope and in need of your situation, miss. What we expect from our international partners and at the same time, President Vučić, is that If Integration is really thinking in the EU, then he should keep in mind that the own citizens, to treat in this case, the Albanian citizens living legitimately in their areas. Otherwise, there will not be a favorable Situation, no assumptions for a successful dialogue with us and the Situation would only get even more complicated. To give up the inhabitants of the Presevo valley, now your dreams? The inhabitants of the Presevo valley are Albanian and proud of it. We will always be with you, you should never give up on your dreams. 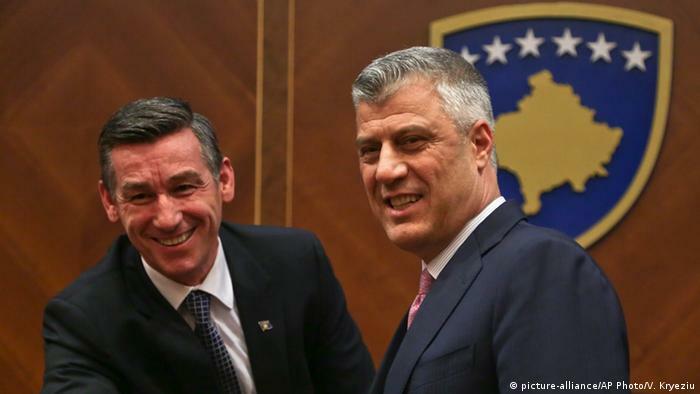 What should we expect from the Serbian-Kosovar dialogue? From the dialogue, we expect the recognition of the independent and sovereign state of Kosovo, including its integrity, as well as a good neighborhood. The past between the Albanians and Serbs was not good. At the same time I am convinced that the messages of Chancellor Merkel should also be in Belgrade, better heard. In Pristina they are understood completely and correctly.